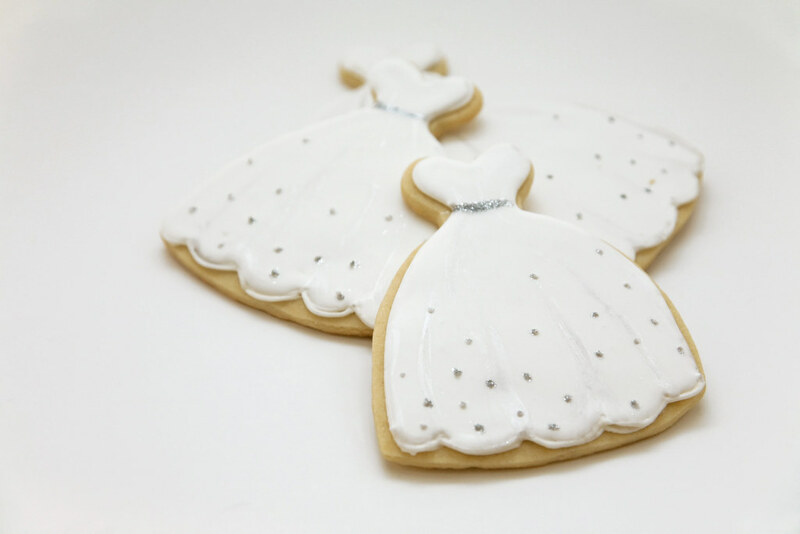 Here are my latest wedding dress cookies for a bridal shower party favor. 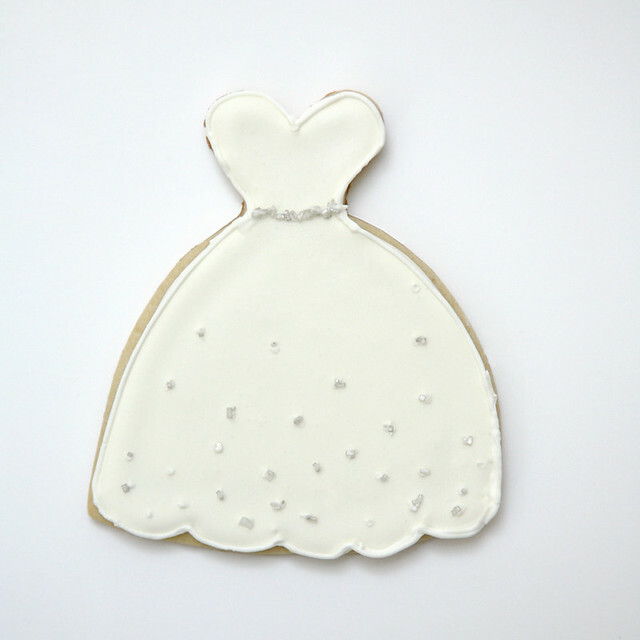 The bridal shower was organized by the bride-to-be's sister, Marissa, who I worked with to bring this new cookie to life. 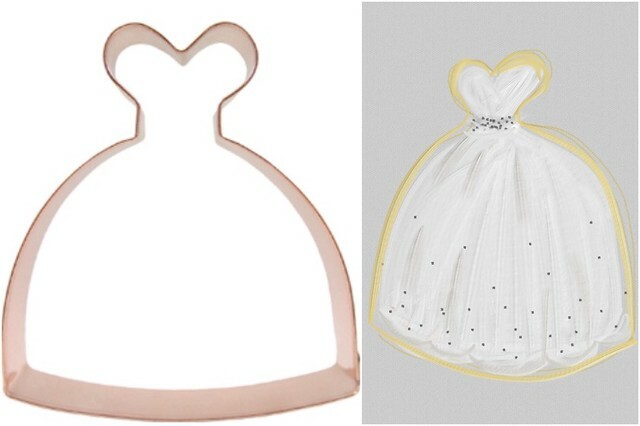 I hadn't used this strapless ball gown cookie cutter yet (from CopperGifts), so I first did a sketch for Marissa to her how I could decorate it (using a "Paint" App....I'll sketch with whatever I have to!). She loved the sketch so now all I had to do was re-create it! My first attempt, I used sparkling sugar crystals. Marissa liked it, but also thought it could use maybe just a little more sparkle on the belt -- like the sketch. I'm all for more sparkle. I had an idea on how I could improve it. I would use edible glitter instead! Then, when I was pulling it all together, I decided to add some light paint strokes of silver luster dust to create a little more dimension on the dress, like the sketch. 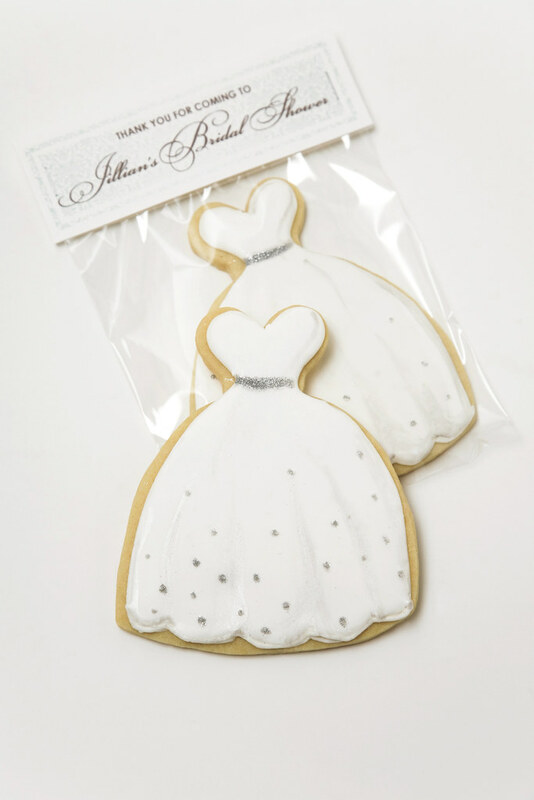 Finally, for the packaging of the cookie and the custom design of the folded tags, I asked for the bridal shower invitation so I could try to coordinate with it. Marissa sent me a little picture of the invitation (from invitation box). Cole designed a tag incorporating the light teal blue color of the invite, the damask pattern drom the dress, and the pretty calligraphic font, which you'll see below. 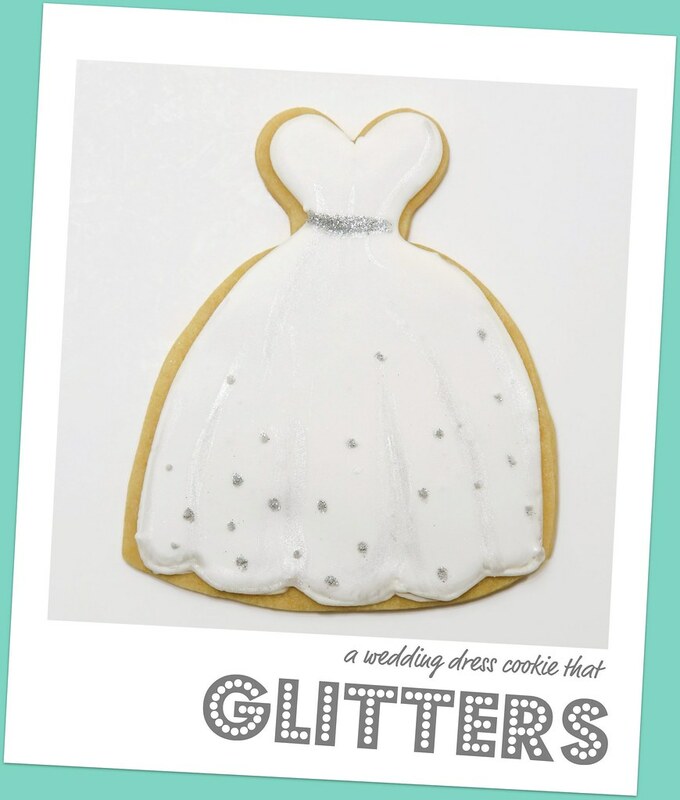 Here are the actual cookies I did for Jillian's Shower with the edible glitter and silver brush strokes. 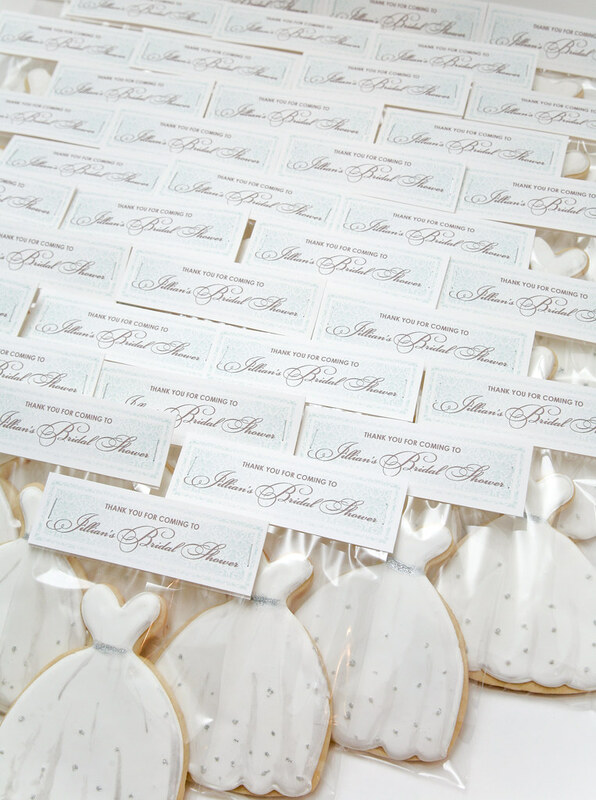 Here is the cookie all packaged up in cellophane bags and the custom folded tag. Here is the whole lot cookies (we actually couldn't fit all 57 of them in the photo, this is only about 38). I loved the way they look all together! It seemed like so many, I think because of how big they were!